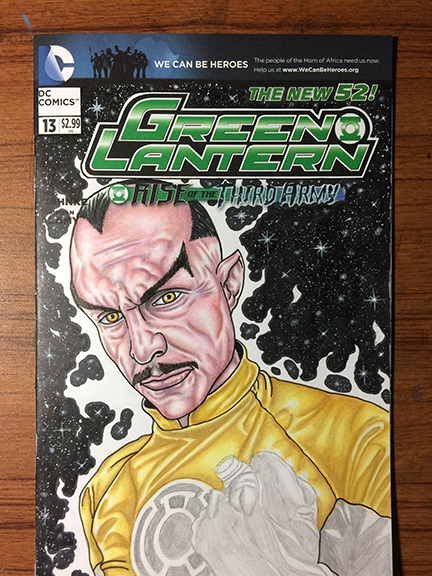 Here’s the next step in my creative process of adding color to this Sinestro Sketch Cover. Topic’s are very similar to watercolor. 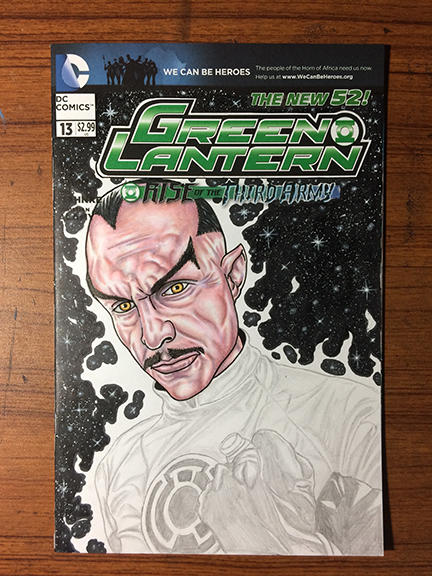 You have to start with the lightest color first and slowly build up layers of overlapping darker colors and tones. Like with watercolor paint you need to use the white of the paper for highlights throughout your illustration. So here is progress shots 2.